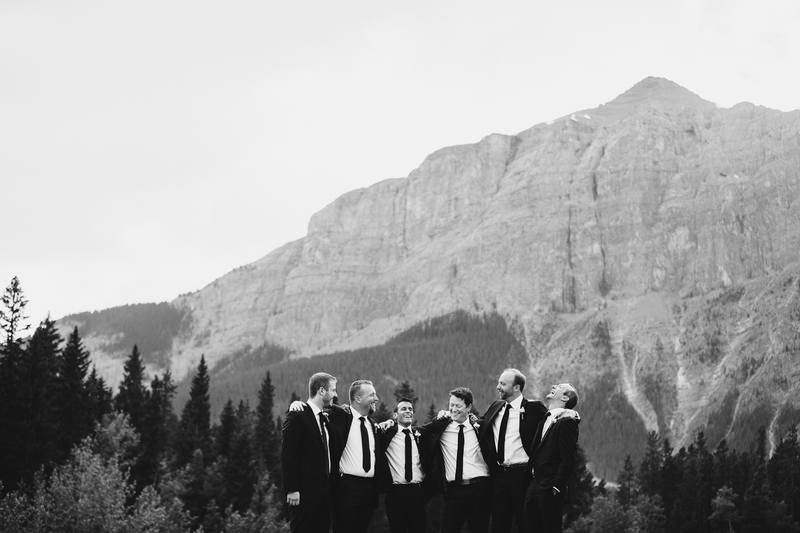 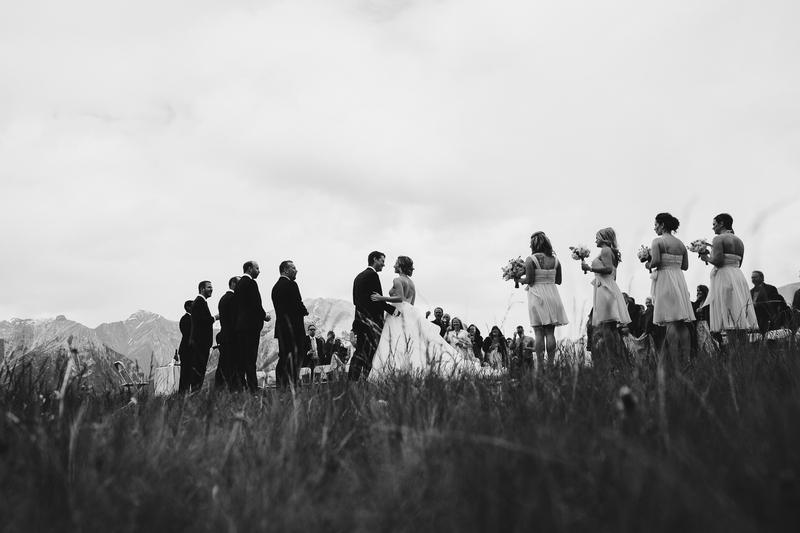 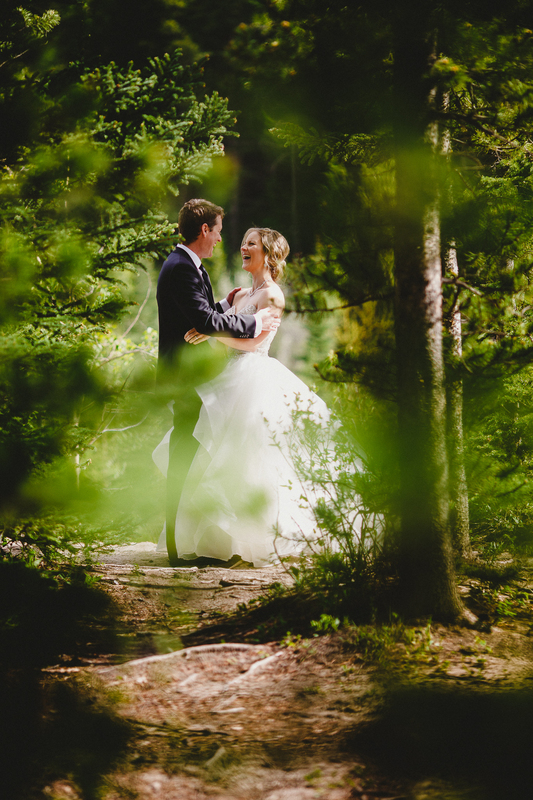 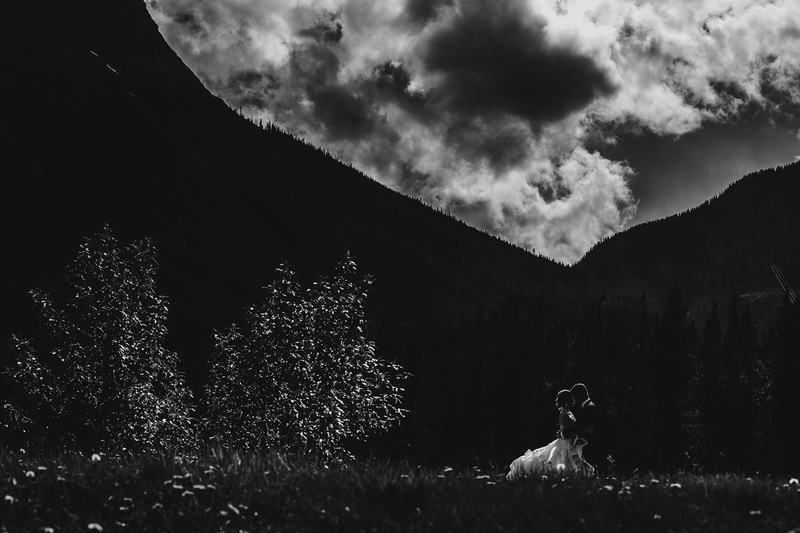 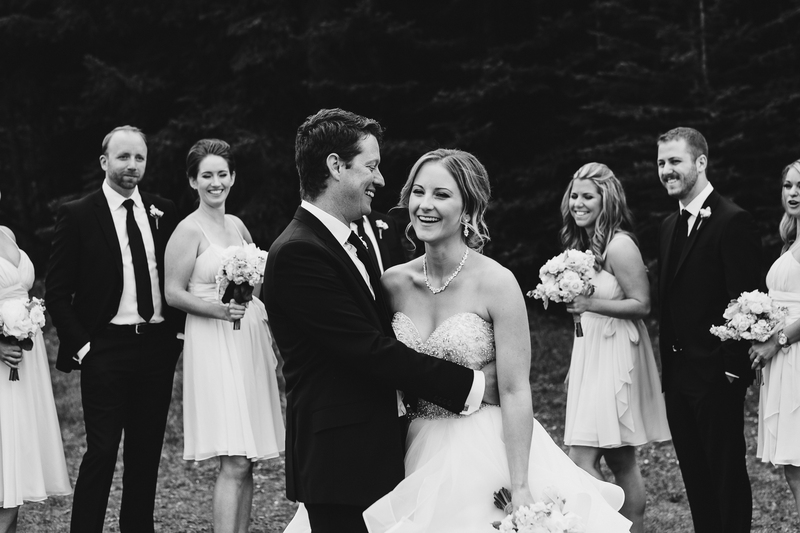 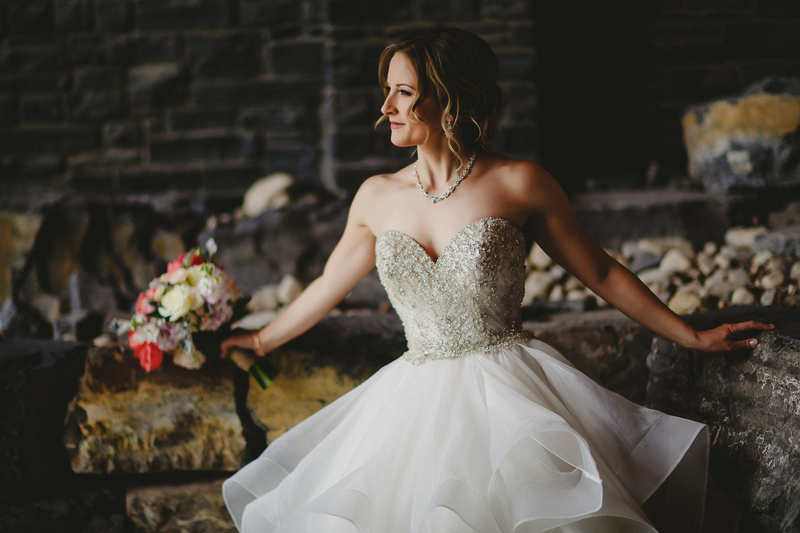 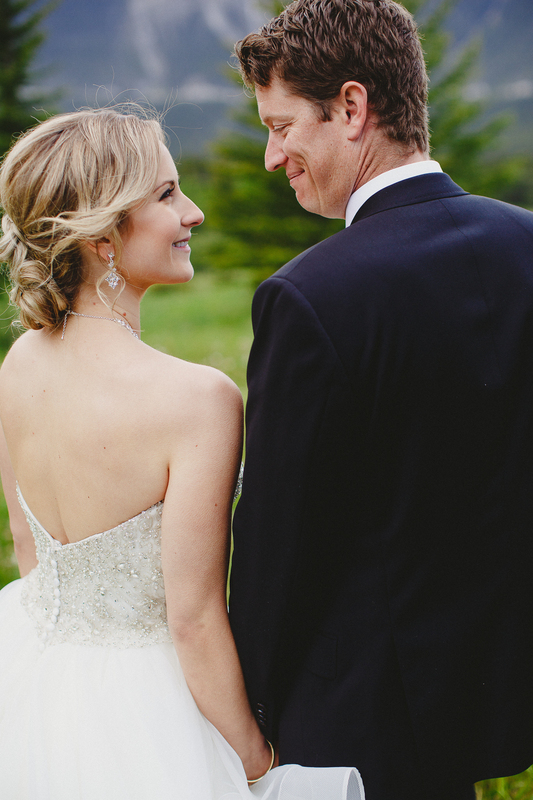 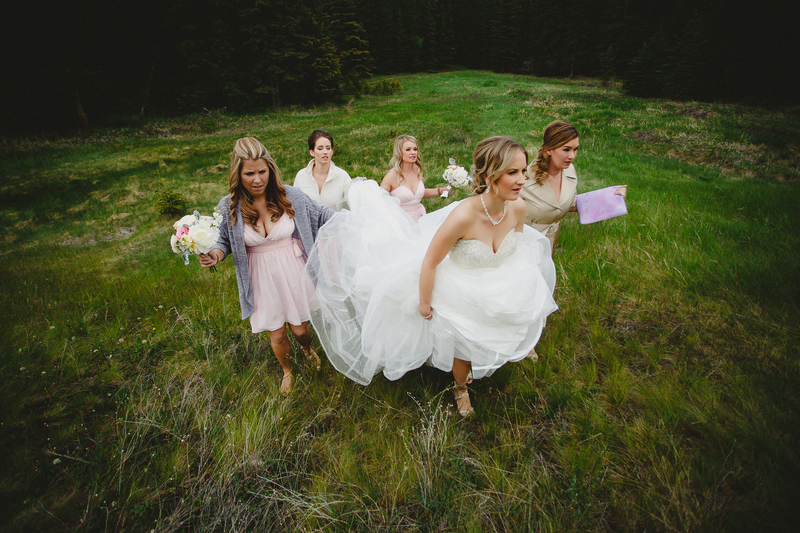 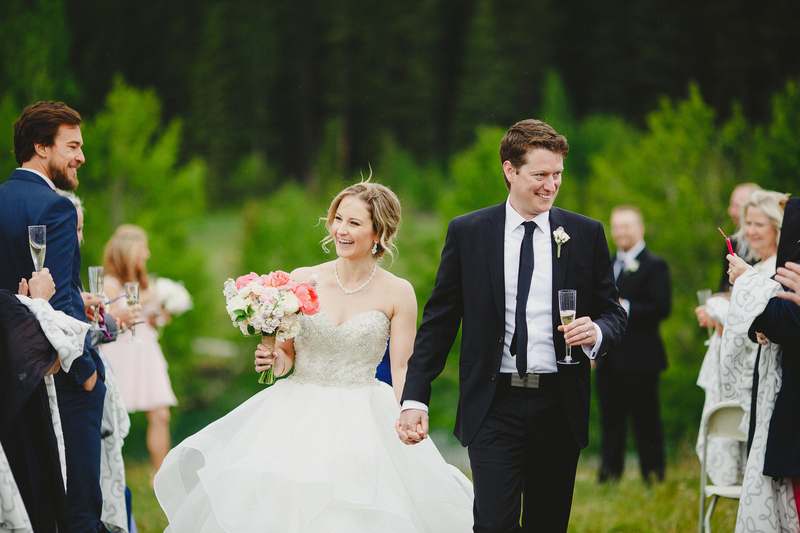 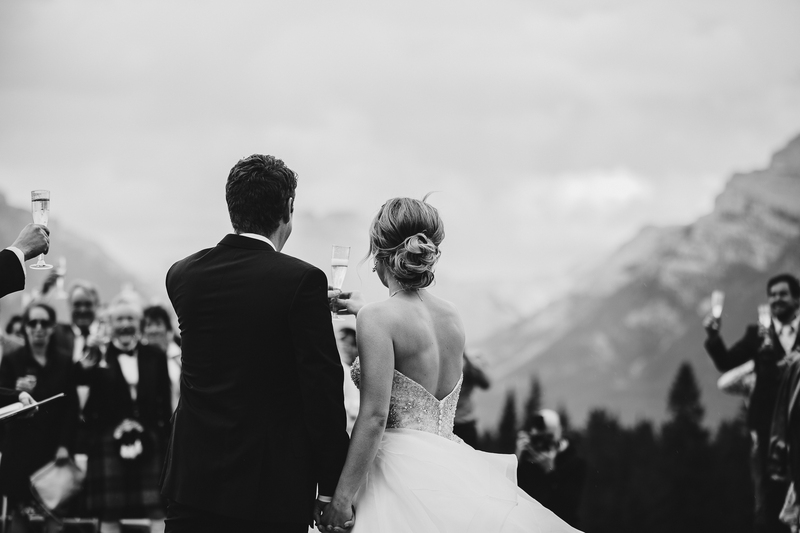 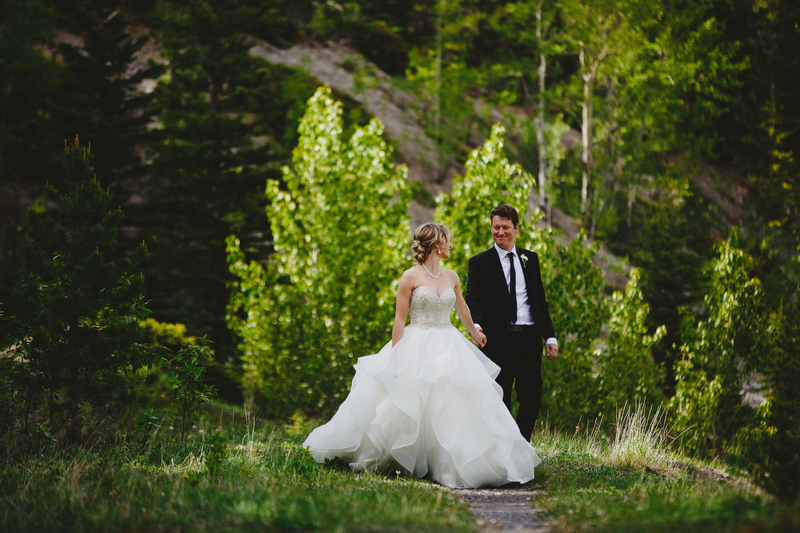 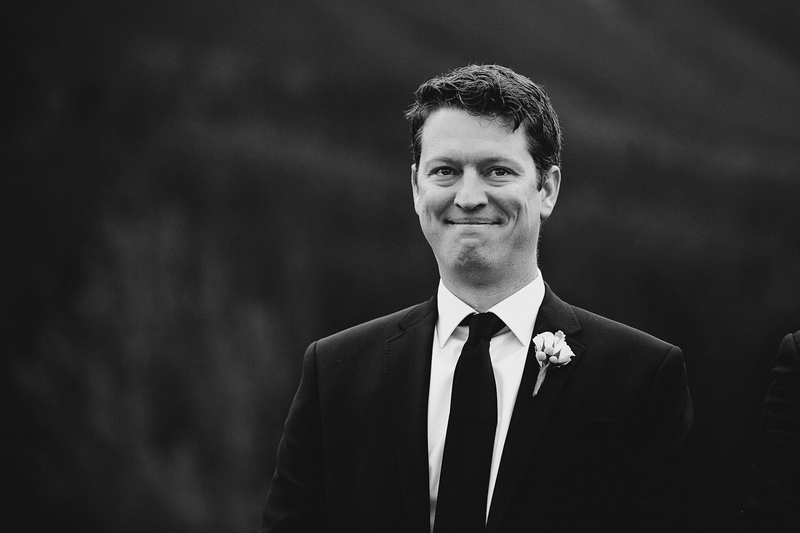 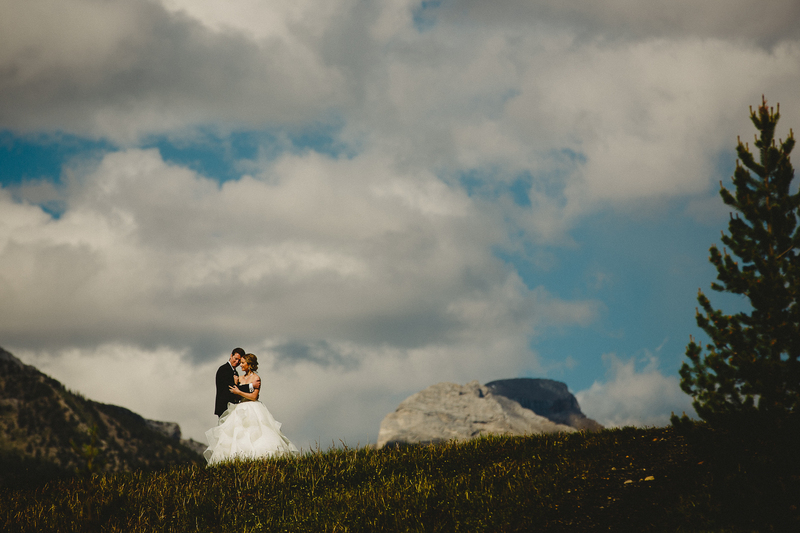 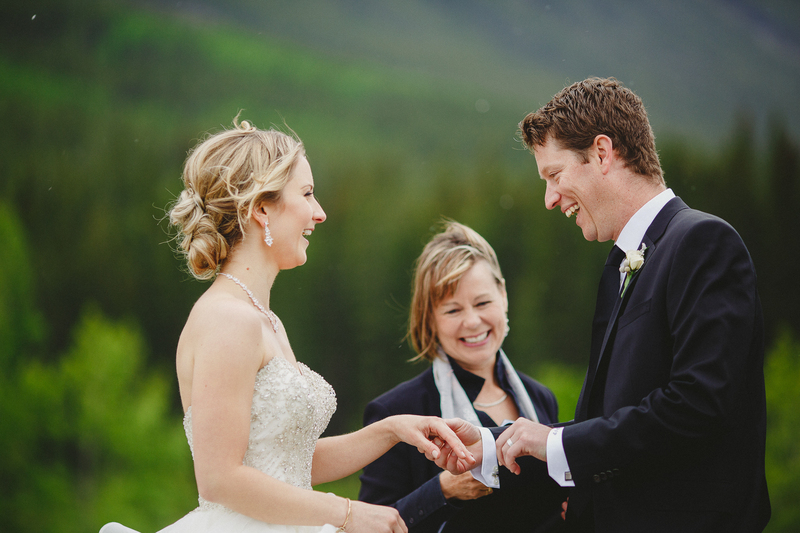 The rustic beauty of the mountains are matched with perfect elegance in this gorgeous Canmore wedding and captured in utter beauty by 6:8 Photography. 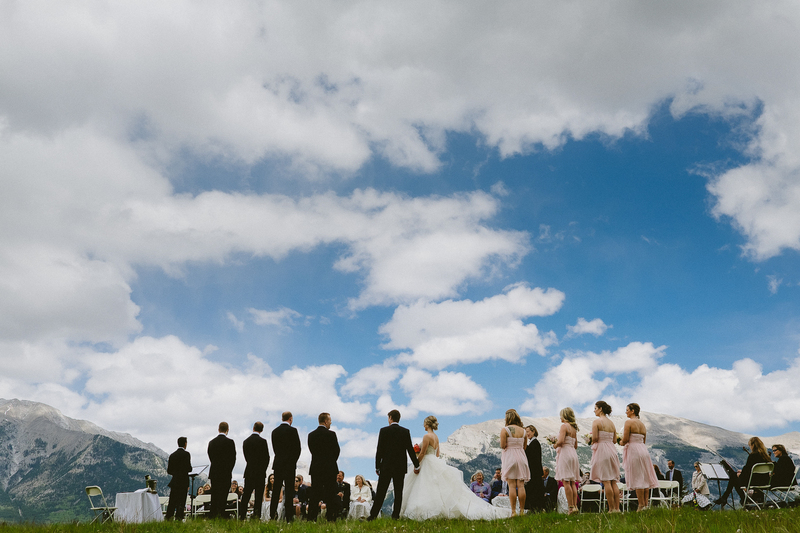 Blue skies, soaring mountain peaks, glasses of champagne and layers of tulle - this wedding is a mountain bride's fairytale dream come true and I'm absolutely thrilled to share it with you today. 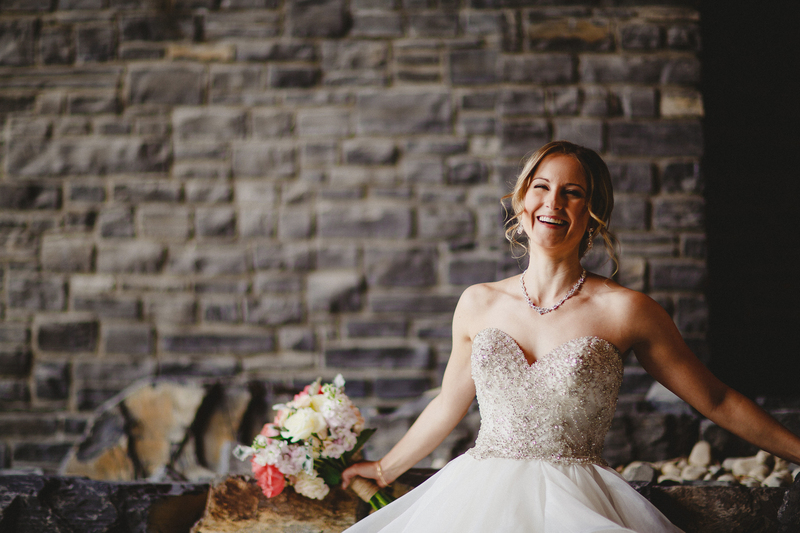 The beautiful bride chose the most stunning ball gown from Italian designer, Eddy K and it looked nothing short of amazing on her, while adding an incredible touch of elegance and luxury to the entire wedding. 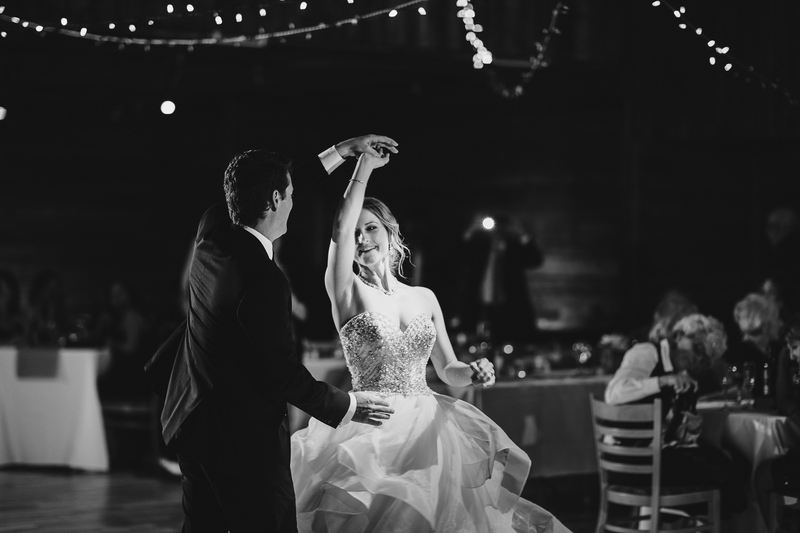 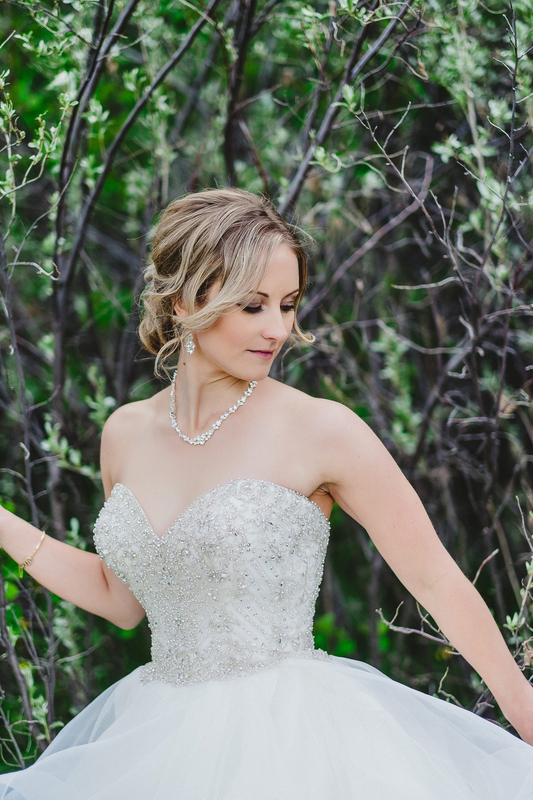 The bodice was beautifully beaded with a sweetheart neckline while the skirt overflowed with layer upon layer of tulle, dancing perfectly in the wind as it gently blew across the valley. 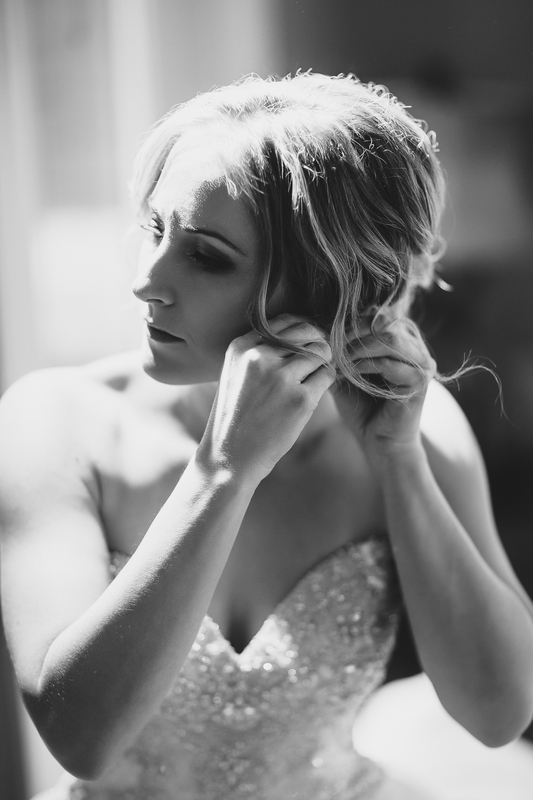 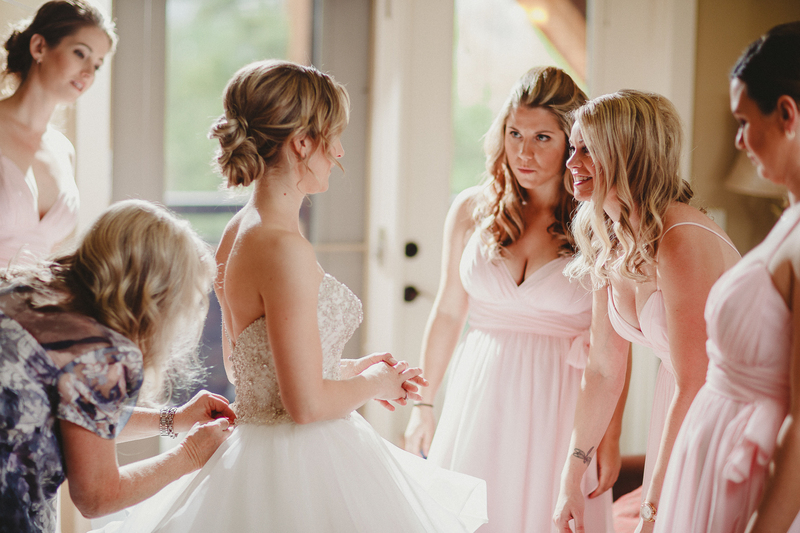 Complimenting the elegance of her wedding gown, the bride worked with Beautiful Calgary Bride to create a soft and romantic chignon and beautiful makeup. 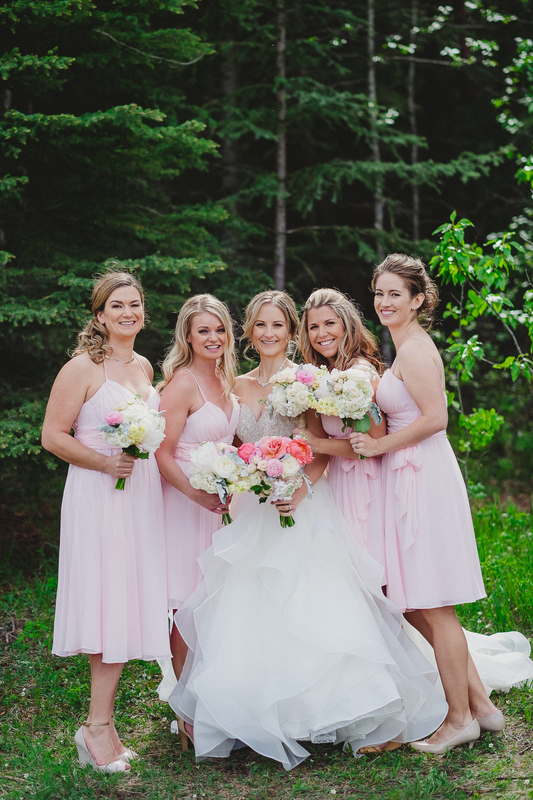 She finished off the look with a bouquet in stunning shades of pink and white designed by Philip Chong. 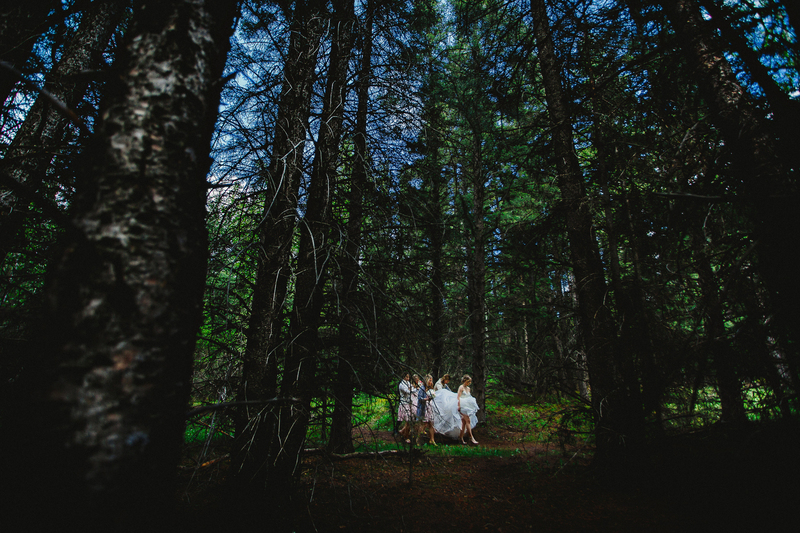 I love the photo above and below highlighting the bridal party travelling through the forest on their way to the wedding ceremony! 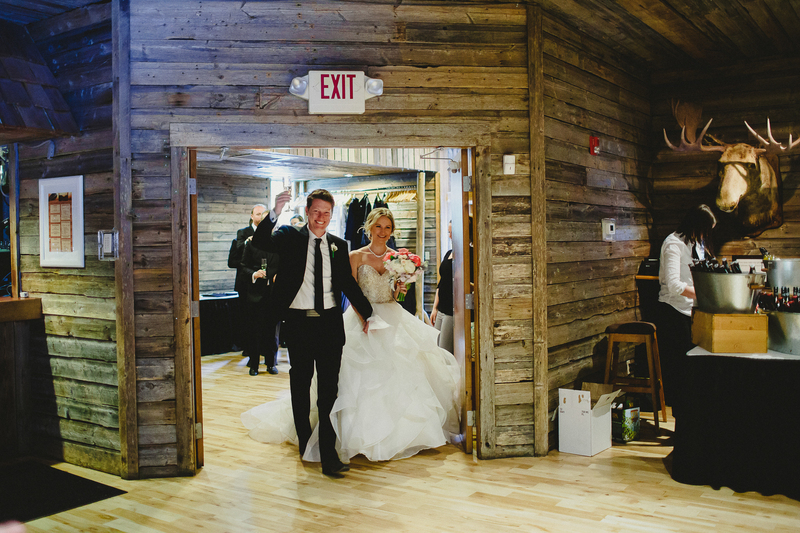 The best locations are never easy to get to and I'm sure they will never forget this entrance and the journey to the altar. 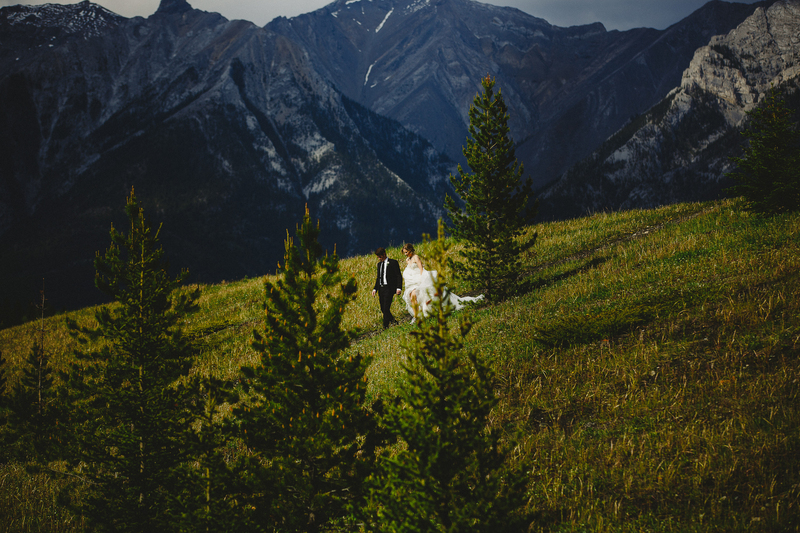 The reception was held at the rustic and beautiful Cornerstone Theatre in Canmore. 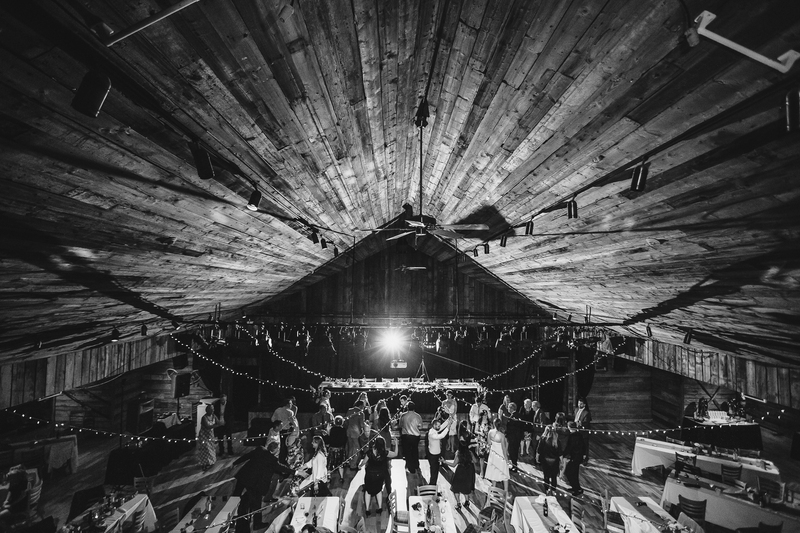 The Cornerstone Theatre is one of Canmore's hidden gems as you would never guess the most amazing "barn" was inside the building by just looking from the outside. 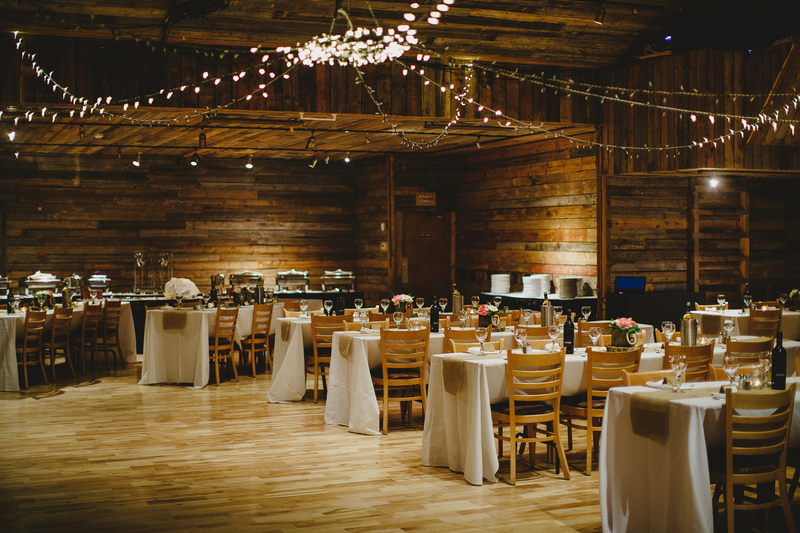 In fact, the wood-framed theatre is completely covered in reclaimed barn wood and Alberta pine and is absolutely stunning. 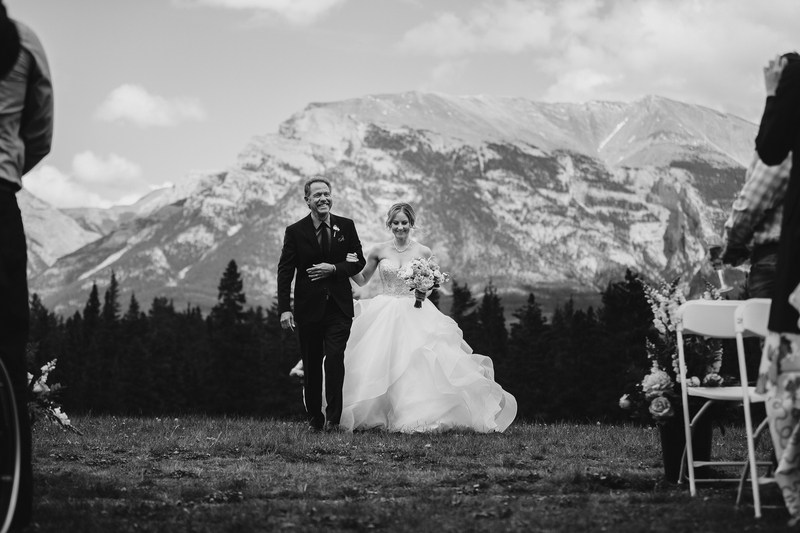 Not only is the theatre gorgeous, but it is located in the heart of Canmore which makes it easy for guests (it's only a quick walk back to most hotels) and it seats up to 180 guests for a sit down wedding (a great find for those looking for a larger venue). 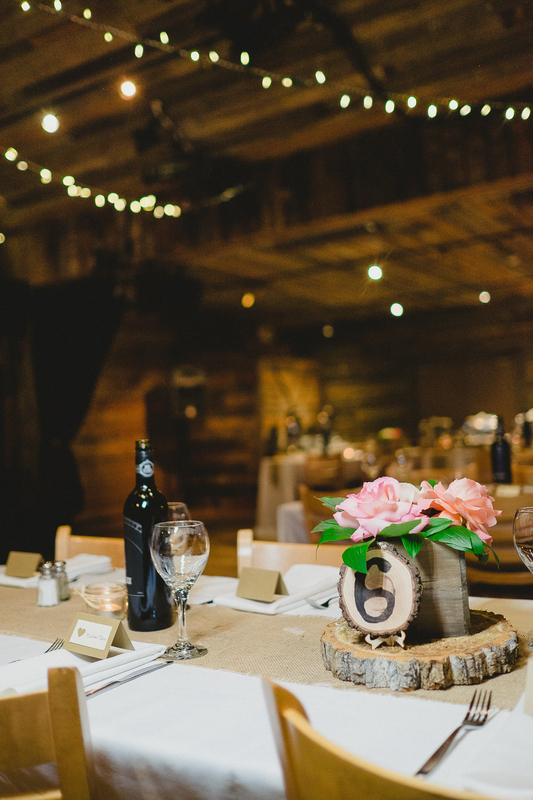 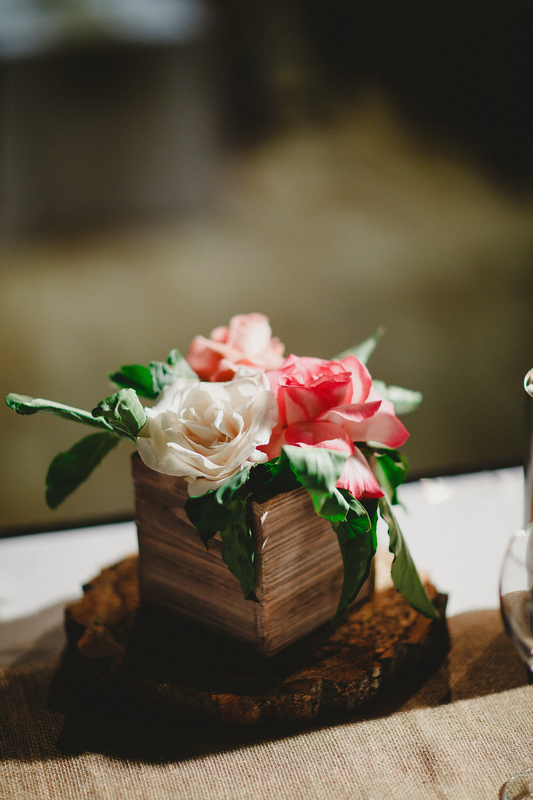 The long tables were accented with burlap and rustic log table numbers and vases filled with gorgeous pink, peach and white roses from Phillip Chong for a perfect balance of rustic chic. 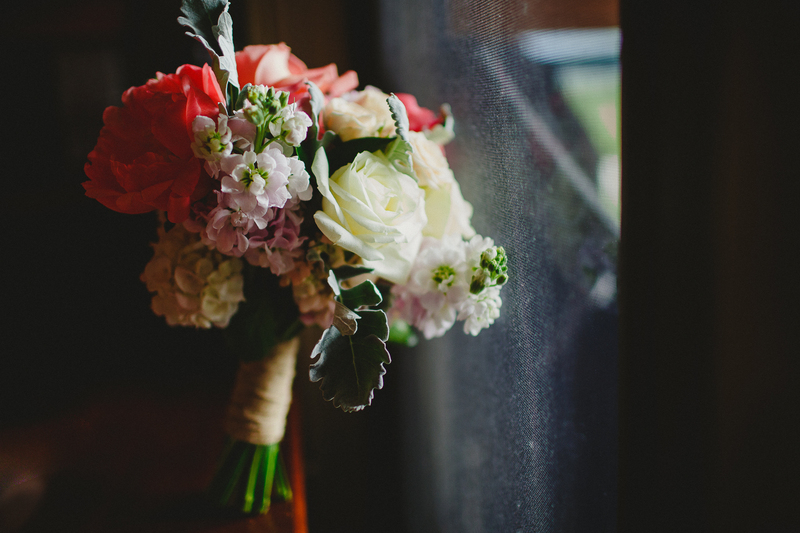 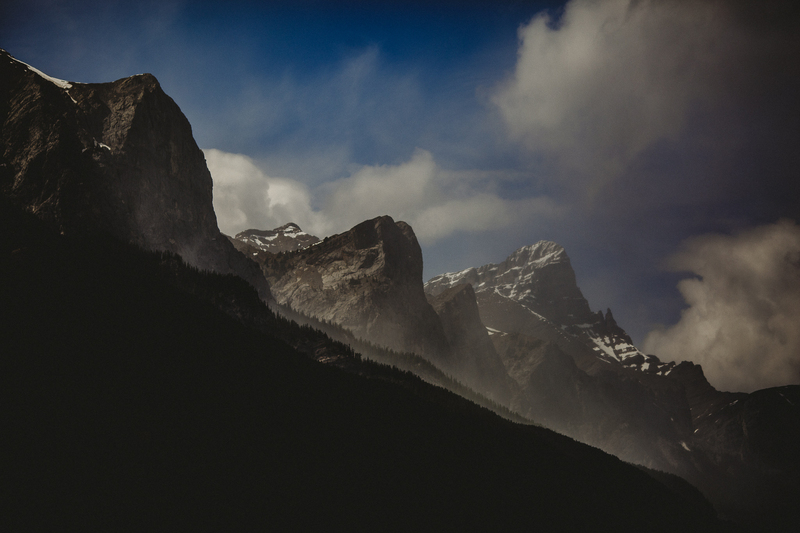 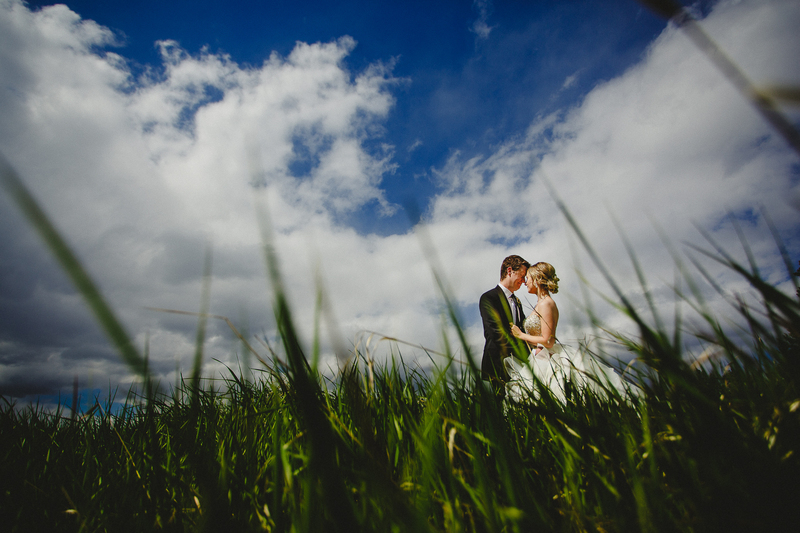 A huge thank-you to 6:8 Photography for sharing these gorgeous images with us. 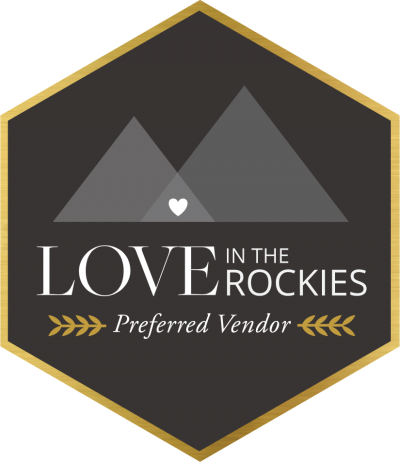 Be sure to check-out their profile and learn more about this amazing mountain wedding photographer here. 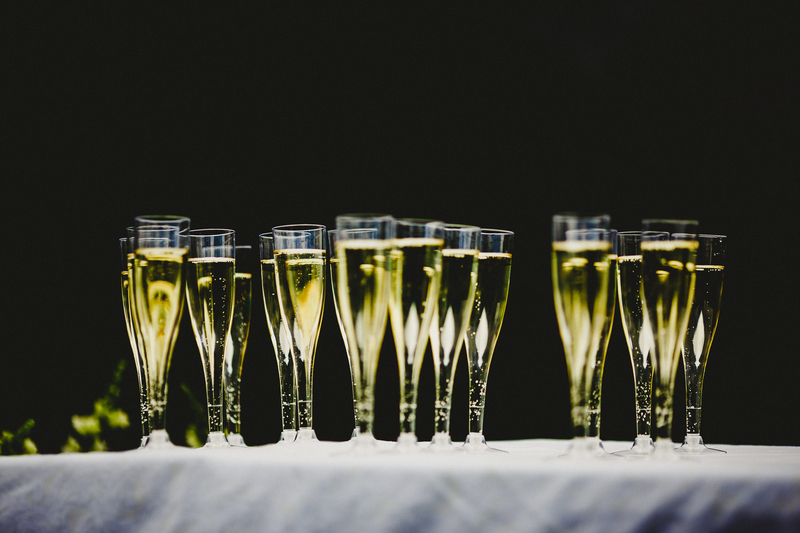 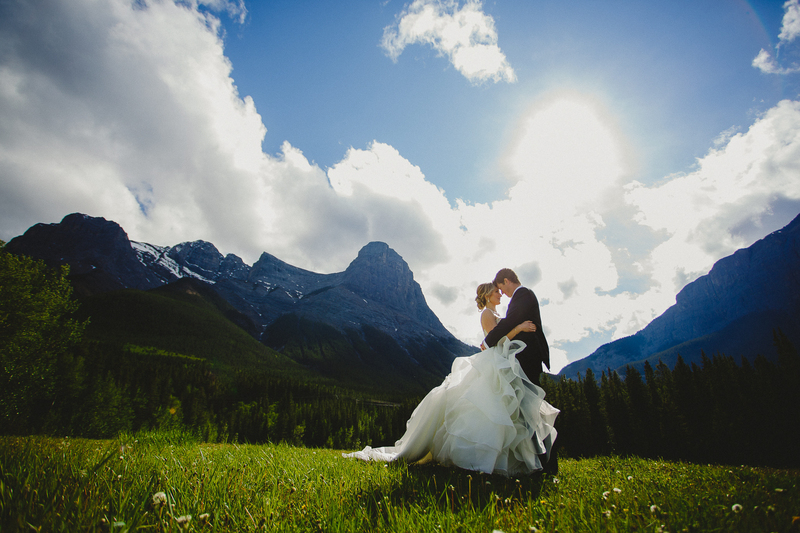 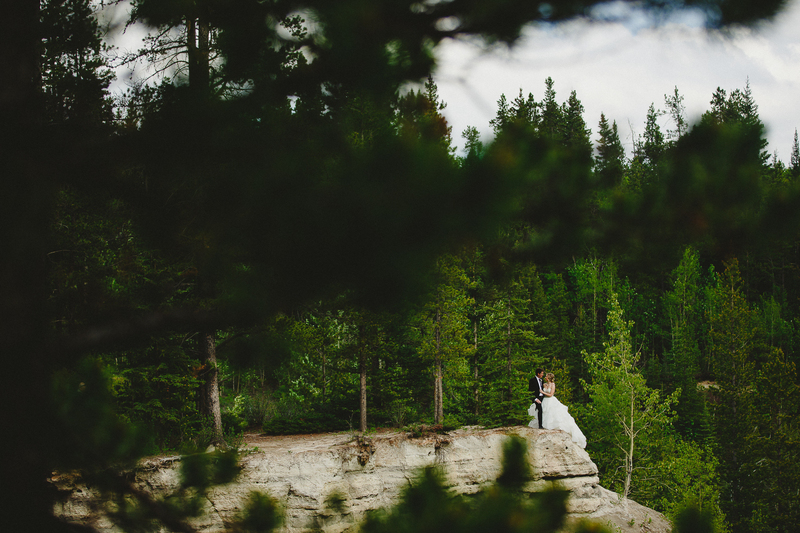 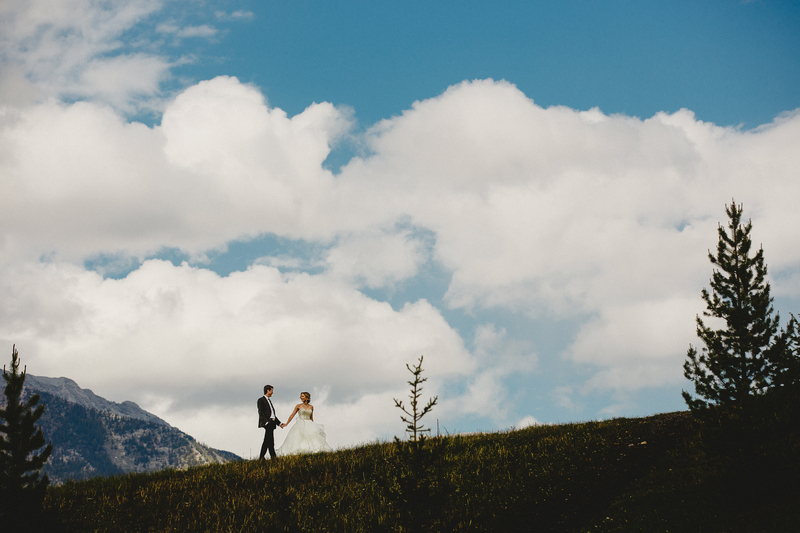 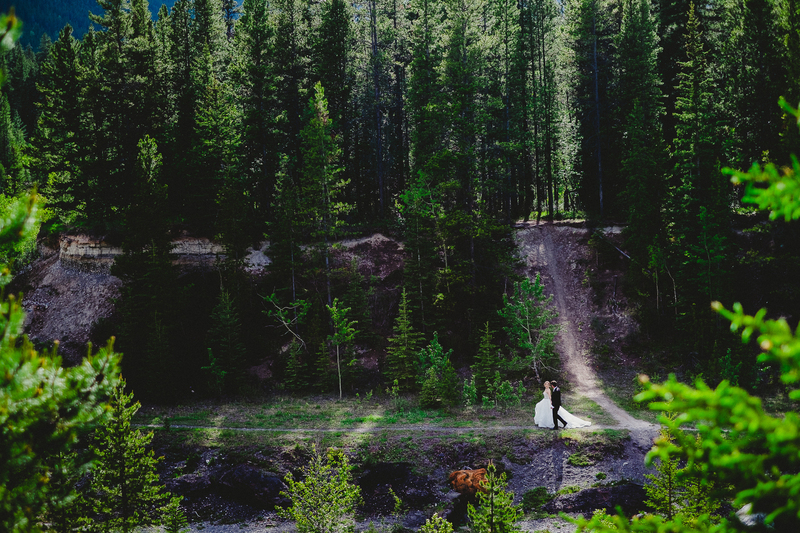 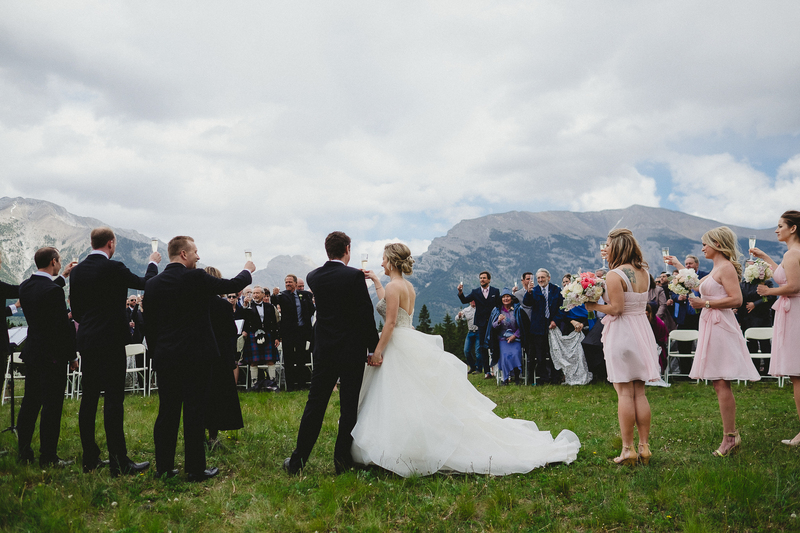 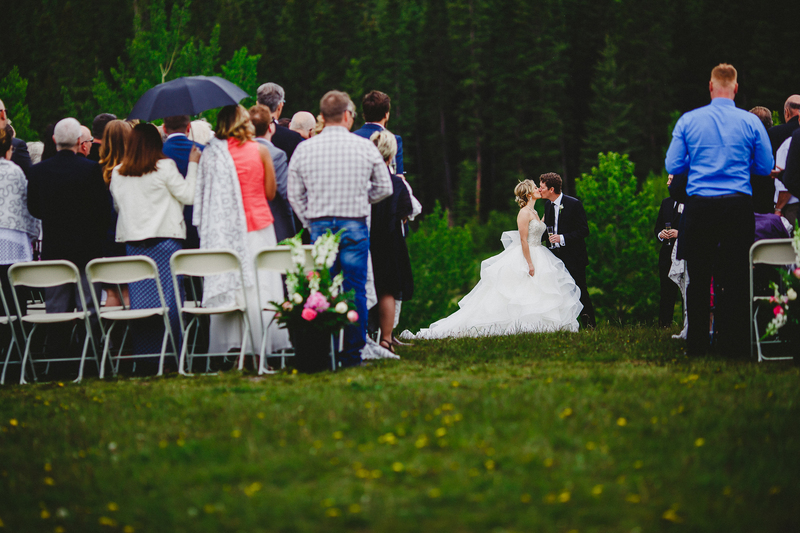 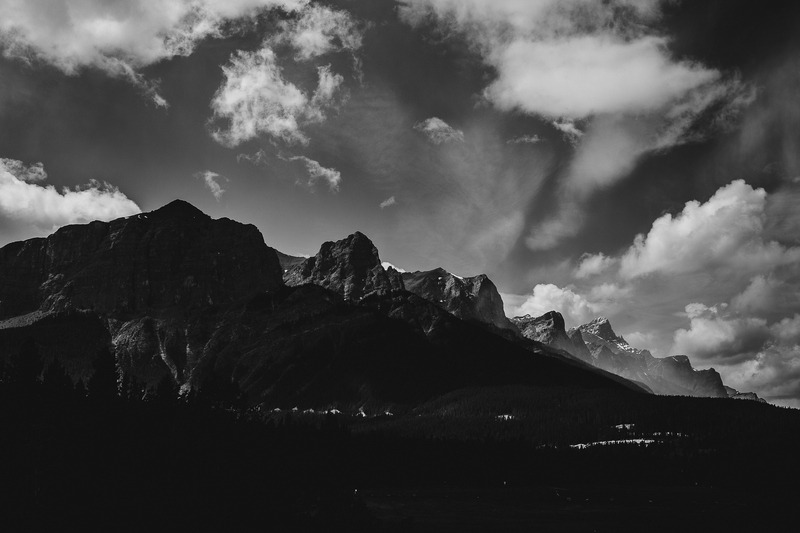 You can find more Canmore wedding inspiration and ideas throughout our site too and we hope you find everything you need to plan your perfect wedding in the Rockies!